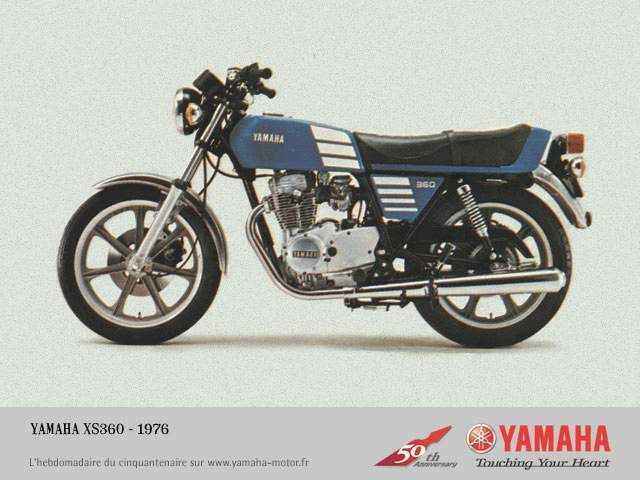 the xs360 is yamaha's first four-stroke engine bike in the small segment and was among the earliest to be factory-fitted with alloy rims, and rear disc-brake. 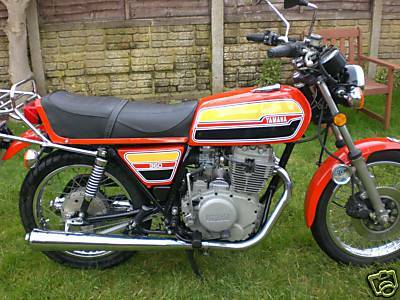 the design follows the line set by the xs500, however it is clearly different at the tail. it became a short-lived model since it soon was to be replaced with the bigger bored and 4hp stronger xs400, witch earned some popularity in germanys 27hp insurance-class. though different in outer looks, is the engine remarkably identical with the some older honda cb360 twin. Imported in 1996 from California.